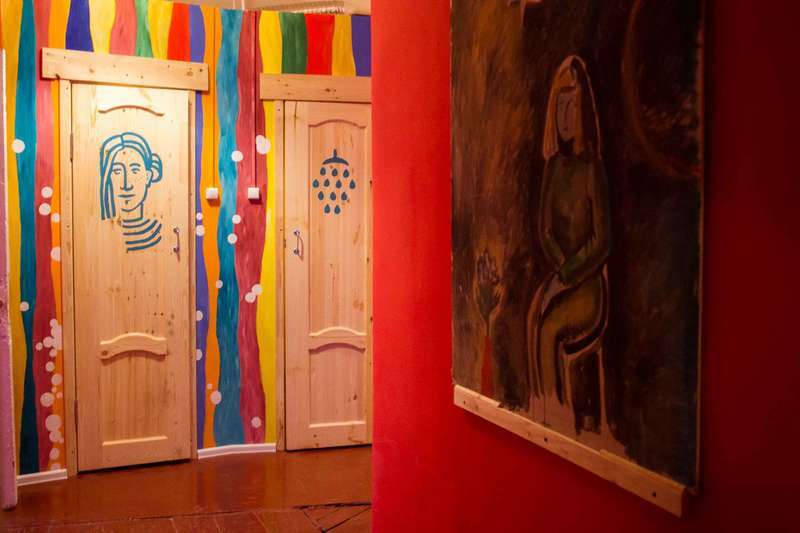 The Polosaty Hostel – is not just a hostel in Saint-Petersburg. We want our guests to feel the spirit of an old flat with its high ceilings, moldings, fireplaces, enfilade doors and a little balcony looking right onto Suvorovsky Avenue. 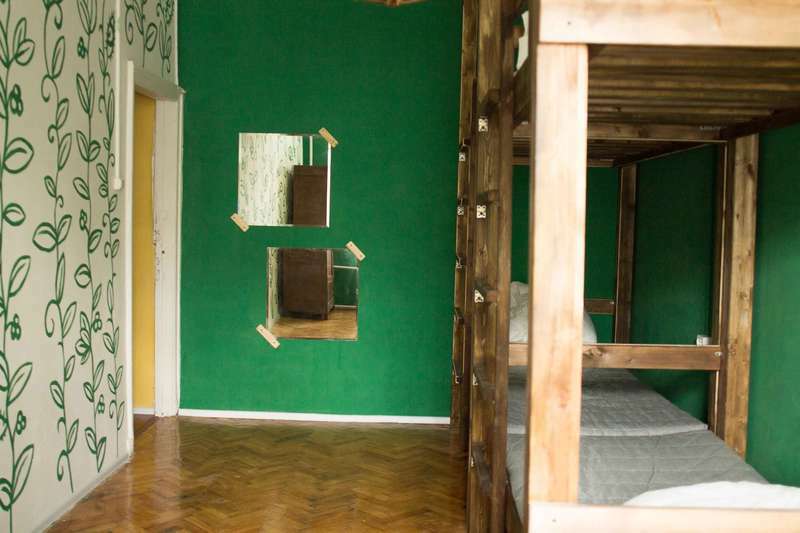 Everything in Polosaty Hostel is made by our own hands - even a comfortable large bed. Every hostel’s room has its own concept and own name. Therefore, you can choose where you want to stay - upon the starry sky, among the sleeping birds, among the hop shoots and the artichokes or at the artist's studio. 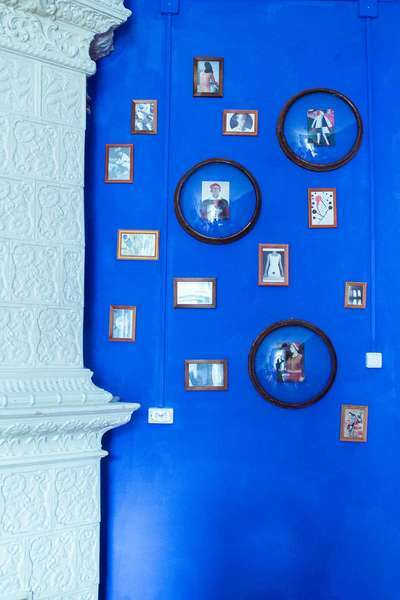 By the way, the rooms’ walls are painted by us, too. And in one of the rooms - at the Botanical one - we hung herbarium collected by us within St. Petersburg and its environs. 1. By taxi from anywhere in the city: our address - Suvorov Avenue, Building 20. 3. From the airport by public transport: First you have to take the bus to Moskovskaya metro station (bus stop right at the exit of the airport). From metro station Moscow need to get to the metro stations Vosstaniya Square (with one change from blue to red line). From subway station walking in accordance with the previous description. Link to Yandex-map with the route - https://yandex.ru/maps/-/CVXMe0Yh. Our front door stands directly at Suvorov Avenue. Call intercom 47b and we will respond. Note on the second floor are our neighbors, another hostel, we are on the fourth, do not getting lost. Everything is very simple. Cancellation is possible only if the guest has not arrived. Also can cancel the reservation if the guest violates the rules of living in the hostel .